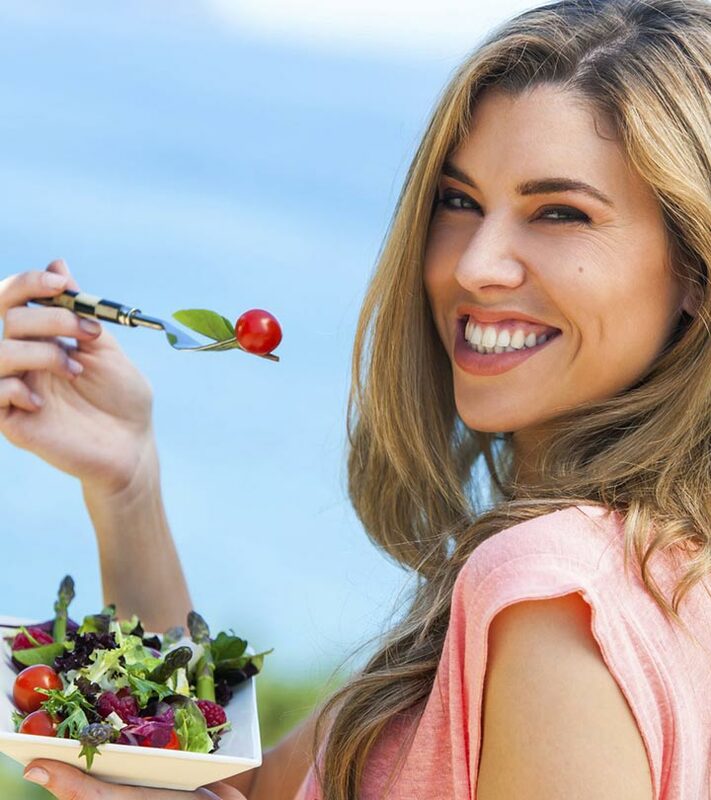 Vegetarian salads can boost your health if the right ingredients are used and eaten in right proportions. 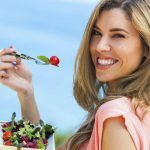 These colorful meat-free salads, in fact, taste delicious and can lower blood pressure, improve bowel movement, reduce cholesterol, reduce hair and skin problems, and help you to lose weight. 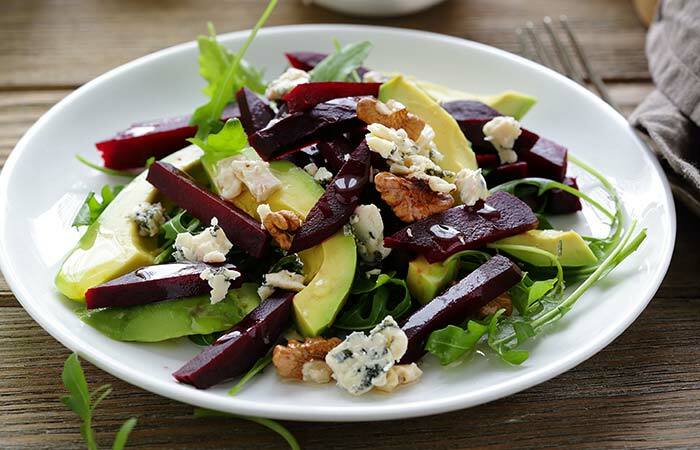 The best part, these Healthy Vegetarian salads need no exotic or pricey ingredients. 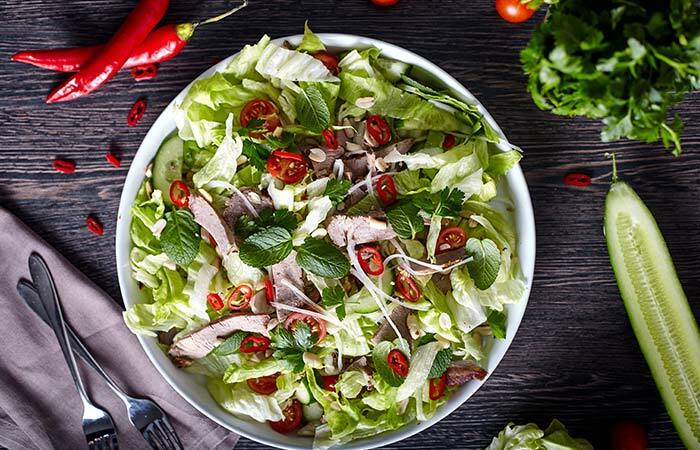 All you have to do is combine local produce with homemade dressing. Sounds simple, right? 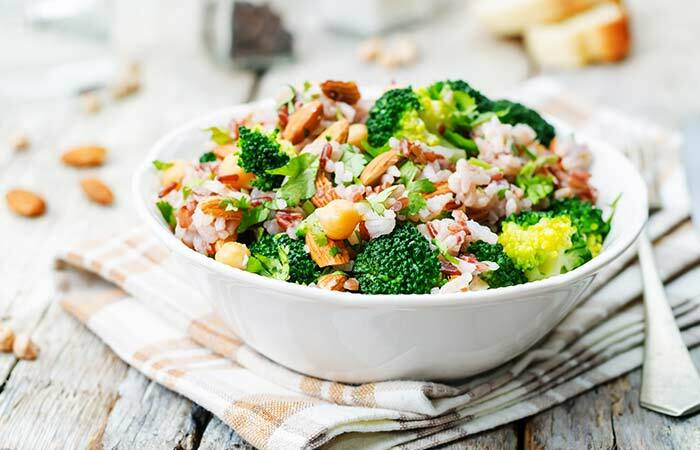 Read on to find out how to create food so tasty and healthy with veggies and other ingredients within 30 minutes! Mix honey, garlic, balsamic vinegar, lime juice, olive oil, black pepper, and salt in a bowl. 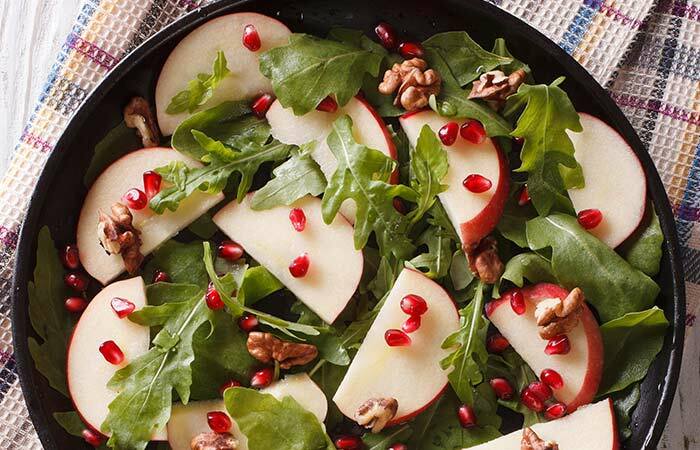 Toss the romaine lettuce, mixed greens, and apple in a bowl. Drizzle the dressing and mix well. Top it with crumbled feta cheese. Toss all the ingredients, except feta cheese and oregano, in a bowl. Put the feta cheese block on top. Drizzle a bit of olive oil on top, and it’s ready! Mix yogurt, balsamic vinegar, white wine vinegar, maple syrup, raisins, salt, and pepper in a bowl. 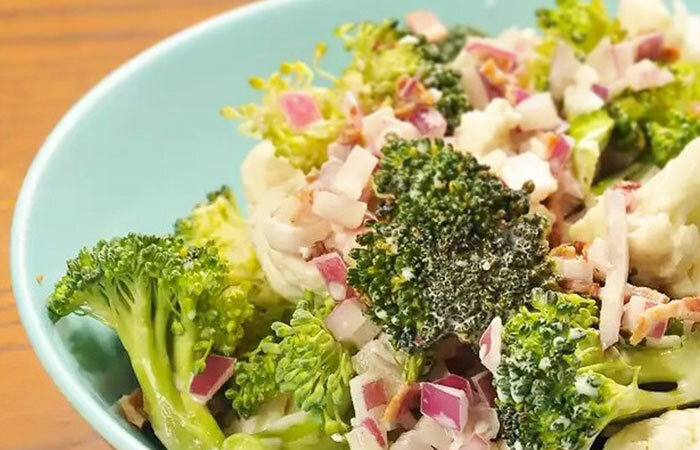 Add the broccoli florets, red grapes, and onions and give them a quick toss. Top the dish with flaked almonds. 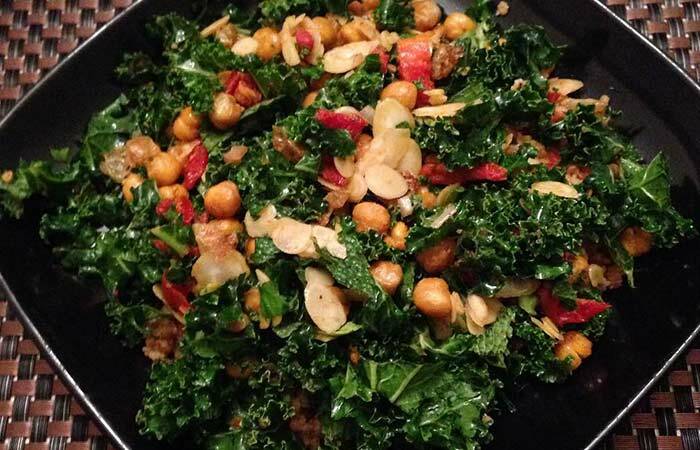 Toss the chopped kale, chickpeas, olives, sun dried tomatoes, and sunflower seeds in a bowl. Mix extra virgin olive oil, salt, lemon juice, Dijon mustard, garlic, salt, and pepper in a bowl. Drizzle it over the veggies and give it a quick toss. Top it with grated parmesan cheese. 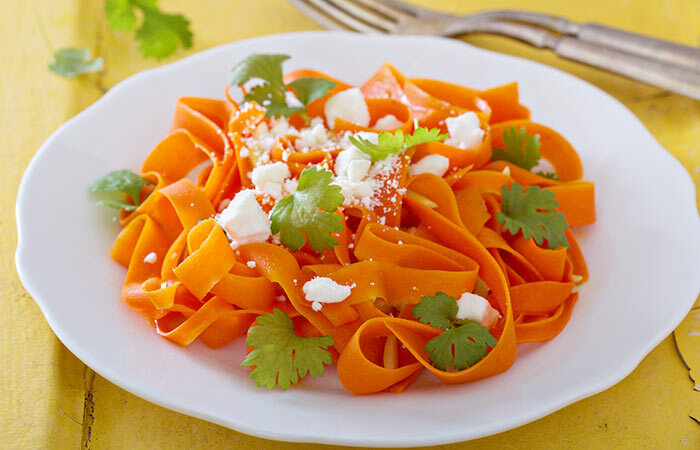 Use a vegetable peeler to shave the carrots into thin ribbons. Mix lemon juice, lemon zest, salt, and shallots in a bowl. Add honey and olive oil to this and mix well. Heat a skillet and add 1 teaspoon olive oil. Add pistachios and salt to it and cook for 10 minutes. In a large bowl, add carrot ribbons, halved grapes, frisée, parsley, and vinaigrette and give it a quick toss. 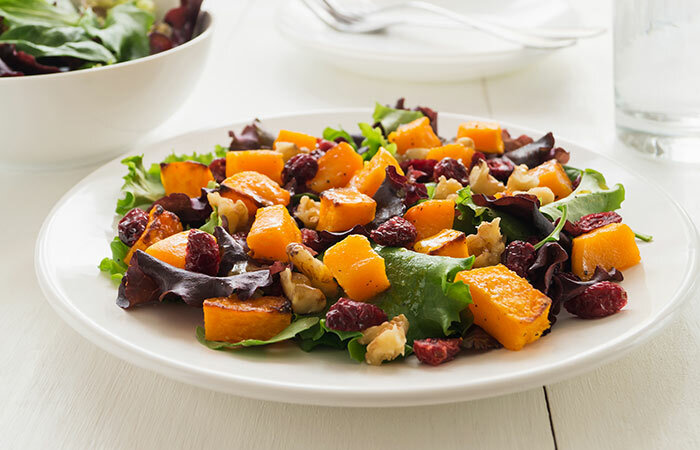 Toss butternut squash, salt, ¼ teaspoon pepper, and maple syrup in a bowl. Transfer this into a baking tray and bake for 15 minutes. Add the cranberries to the baking tray and bake for 3 minutes more. Mix apple cider vinegar, shallots, Dijon mustard, olive oil, salt, and pepper in a bowl. Take out the baking tray and transfer the baked butternut squash in a large bowl. Add the rocket spinach and the dressing. Give it a quick toss and top it with walnuts. Mix lime juice, brown sugar, black pepper, chopped mint leaves, and pink Himalayan salt in a bowl. 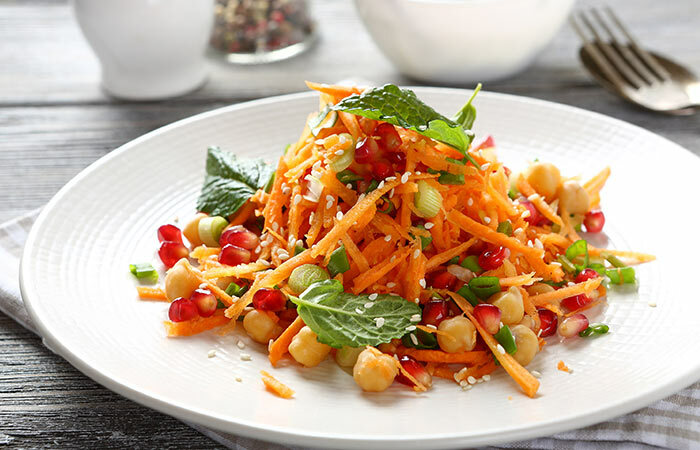 Toss in the julienned carrots and pomegranate into the bowl and mix well. Garnish with cilantro and pecan nuts. 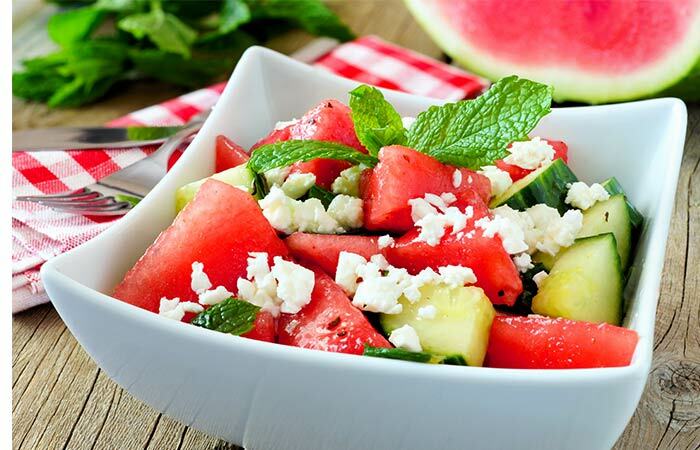 Combine watermelon, cucumber, tomato juice, lime juice, honey, feta cheese, and pink Himalayan salt in a bowl. Top it with chopped mint leaves. Toss all the ingredients in a large bowl. Top it with flaked almonds. Mix olive oil, yogurt, sour cream, brown sugar, chili flakes, dried cranberries, and salt in a large bowl. Toss the veggies into the bowl and mix well. Now, add the grated parmesan on top. Mix Dijon mustard, olive oil, balsamic vinegar, pepper, and salt in a large bowl. Throw in the veggies and give it a quick toss. Top it with crumbled feta. Mix yogurt, lime juice, olive oil, smoked paprika, salt, and cheddar cheese in a large bowl. 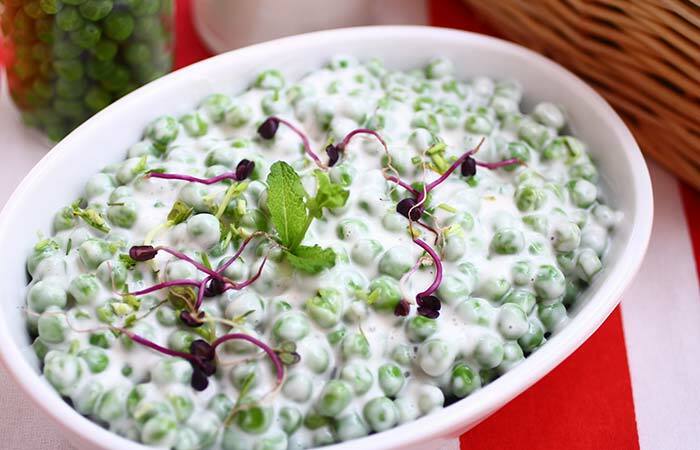 Throw in the peas, celery, lettuce, bell peppers, red onion slices, and black olives into the bowl. Give it a quick toss before eating. 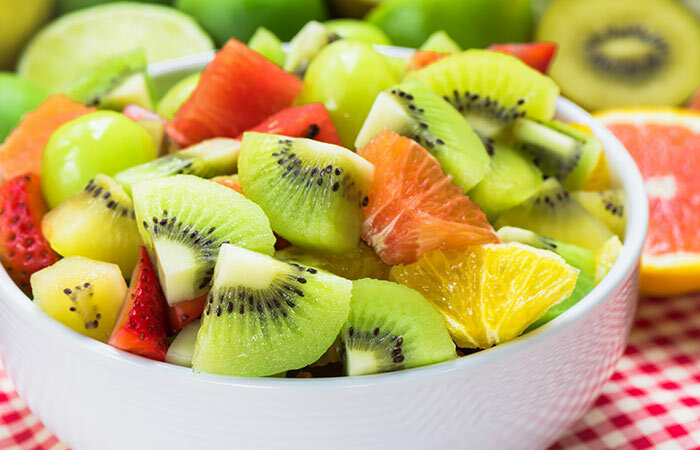 Mix honey, sour cream, lime juice, olive oil, garlic, raisins, black pepper, and salt in a large bowl. 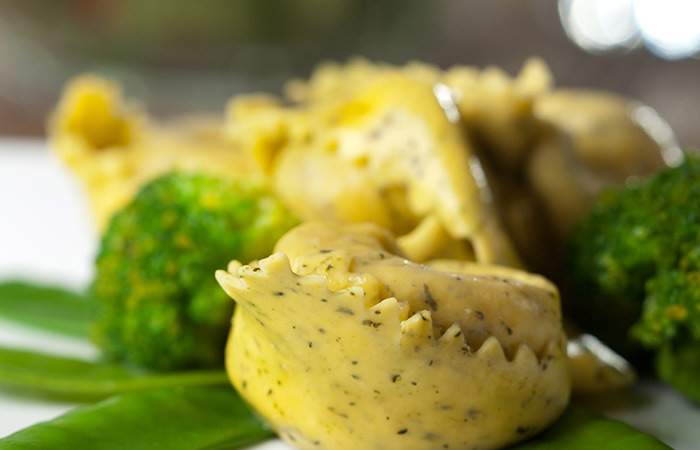 Throw in the broccoli, onions, and tortellini into the bowl and give it a quick toss. Top it with sunflower seeds. Mix lime juice, brown sugar, olive oil, and salt in a bowl. Toss in the cucumbers, bean sprouts, lettuce, chopped jalapenos, and pickled olives into the bowl. Give it a quick toss. 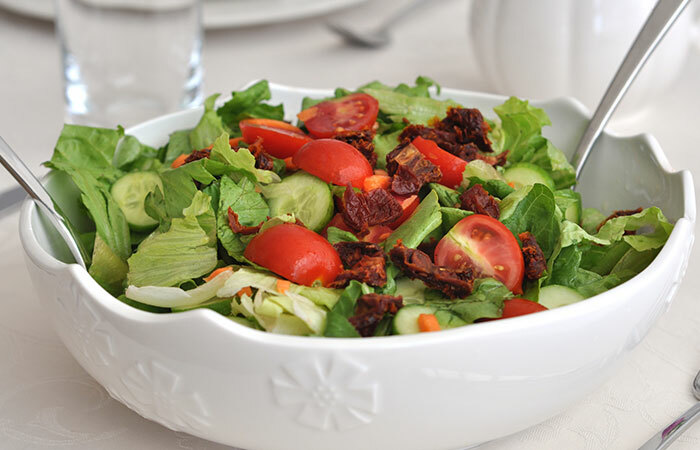 To prepare the dressing, mix olive oil, lemon juice, Dijon mustard, red wine vinegar, chili oil, and salt in a bowl. Throw in the veggies and quinoa into the bowl and give it a quick toss. 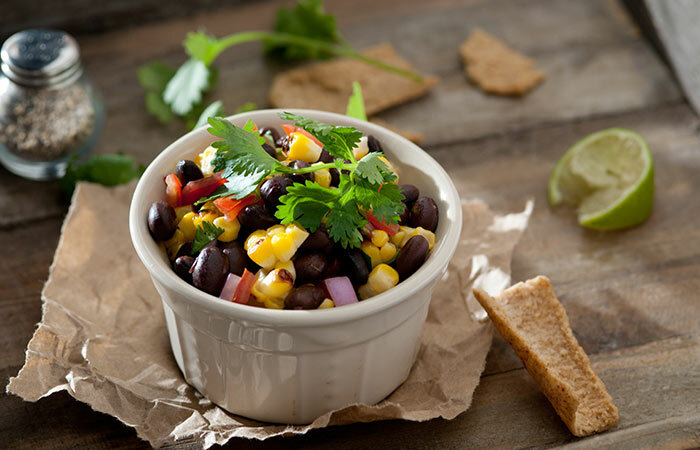 Throw the black beans, corn, onion, scallion, and bell pepper into a bowl. Add the orange juice, balsamic vinegar, ground cumin, smoked paprika, and salt to it and give it a quick toss. Use a vegetable peeler to shave the cucumber into thin ribbons. 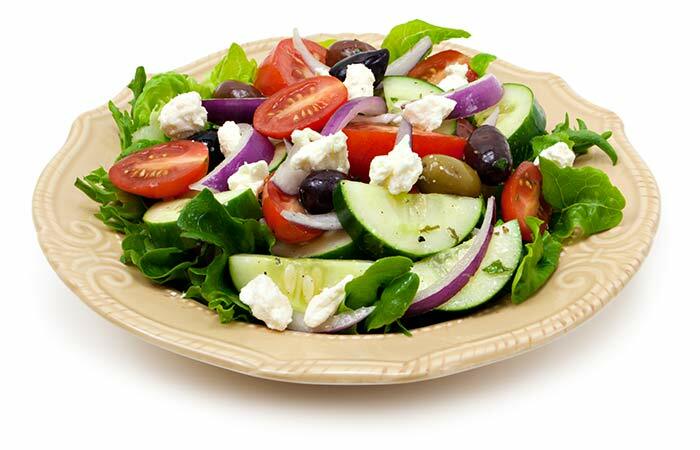 Toss the cucumber ribbons, Roma tomatoes, sun-dried tomatoes, feta, and black olives into a bowl. Add olive oil, lime juice, black pepper, and salt. 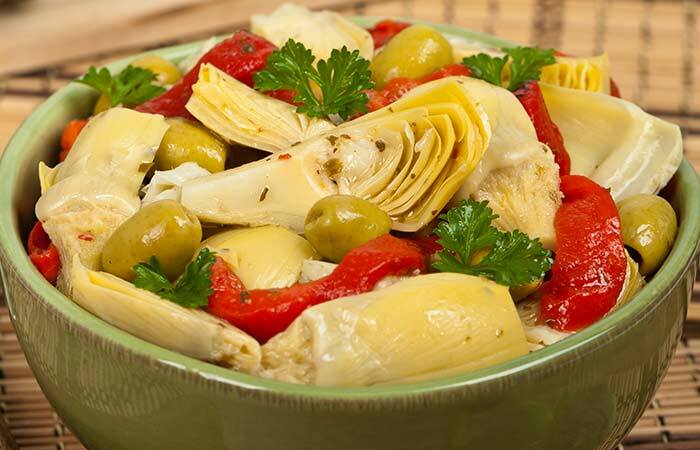 Drain the artichoke hearts, cut in cubes, and throw them into a large bowl. Add the other veggies to the bowl. Mix canola oil, brown sugar, thyme, garlic, mustard, tarragon vinegar, black olives, romano cheese, black pepper, and salt in another bowl and mix well. Drizzle the dressing on the veggies and give it a quick toss. 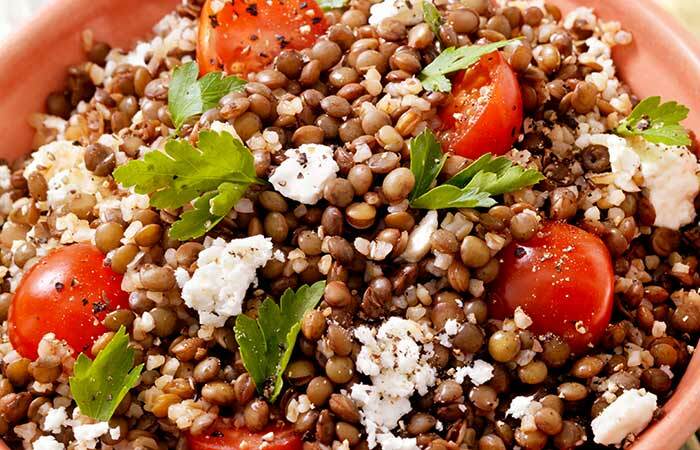 In a soup pot, add the lentils, tomatoes, carrots, garlic, bay leaf, onions, salt, and water and cook for 15-20 minutes. Add lemon juice, parsley, olive oil, black pepper, and dried thyme and give it a quick toss. 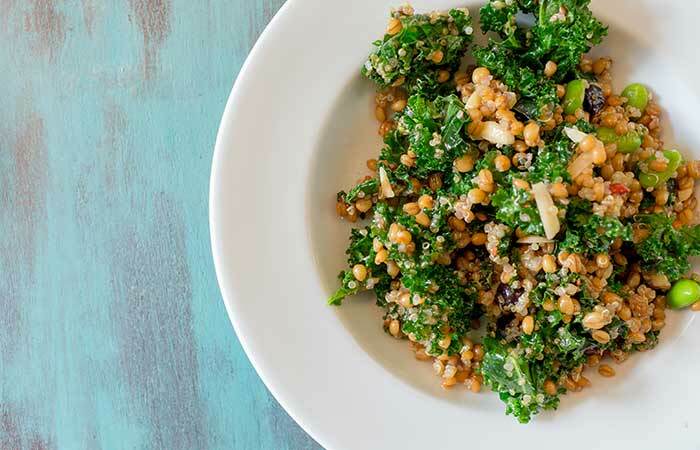 So, these were the 20 delicious vegetarian salads that will keep you full, satisfied, and take care of your health. What else do you need? 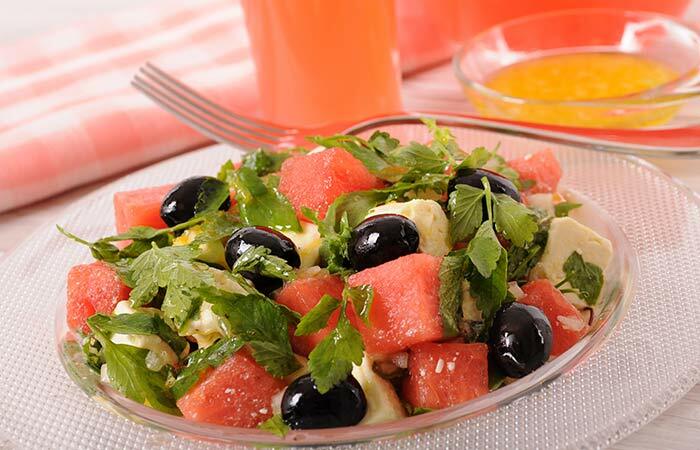 So, get the ingredients and try these yummy salads – and tell us how you liked them in the comment box below!